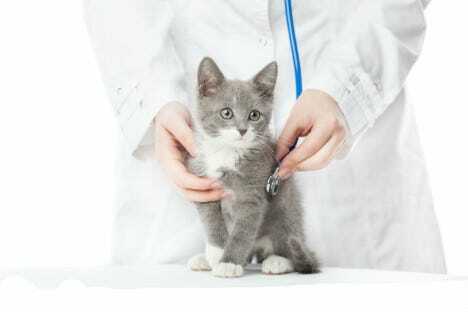 Finding the right veterinarian is essential to your cat’s lifelong health and happiness. It’s common to go to the cheapest or the closest office—two important factors—but you should consider more than price and convenience when choosing your pet’s doctor. Think about how you choose your own doctors. Health insurance aside, would you go to the cheapest one? Maybe, but it might make you skeptical of the quality. Would you choose the office that’s closest to your house? Sure, an office nearby is desirable, but location probably wouldn’t be the deciding factor. Instead, to choose the best health care, you’d focus on the doctor in terms of their qualifications and patient satisfaction, and then you’d consider the practical factors. That same concern for quality medical care should apply to your pet’s vet, too. Moreover, trips to the vet are usually fraught with drama for your feline friend. First, your cat has to have symptoms serious enough to require a trip to the vet, so it’s likely already feeling pretty uncomfortable. Then, it has to be coaxed (read: forced) into a carrier, jostled along on the ride to the vet, then wait in the strange waiting room—and that’s all before the examination! Given how stressful the vet experience is no matter what, it is worth your time to pick a vet whose opinion you trust and whose bedside—no, tableside manner will put you and your cat at ease. nearby location that offers extended open hours on at least one day. My top priorities have to do with the quality of the vet and the care s/he is able to give, and my other concerns are about convenience. Each pet parent is different and your list might be in a different order. For most of us, we have to find a vet we can afford or none of the other factors even come into play. That said, it’s best to consider more than just price or you’ll wind up paying money to a bad vet, then paying more money for a second a opinion from a good vet. Take a minute and consider your priorities. Now that you know what you’re looking for, how do you go about finding veterinarians in your area? Why do you like your veterinarian? Is there only one vet at the office or are there others? Are they good at communicating what is going on with your pet and why? How long have you gone to your vet? 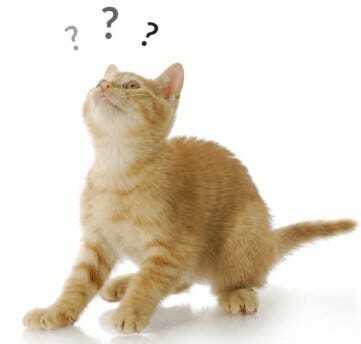 What kind of appointments and procedures have your pets had at that vet’s office (e.g., shots, spay/neuter)? Have you had any negative experiences with your vet? If your friends and family don’t yield many recommendations, search online for nearby vet offices. Once you have shortlisted your choices, call the offices and schedule a visit to meet the staff and check out the facility without your pet. Does it look clean? Are the staff professional and approachable? Then, consider the other items that are important to you. Is the location convenient? Do their open hours fit your schedule? If you work full time, for example, are they open on weekends or have evening hours on certain days of the week? Are appointments required? How long do I have to wait for a routine appointment? Do you offer emergency services? After hours? What kind of services do you offer? Do you do any tests in-house, such as blood work and other diagnostic tests? Are you willing to discuss medical issues over the phone? Do you specialize in cats? Do you specialize in any specific treatments? Do you offer payment plans, accept health insurance for pets, take credit cards, checks, etc? Do you offer house calls for any reason? With your research in hand, select the vet that meets as many of your criteria as possible for a price you can afford. Depending on practical factors, you may choose to go to one veterinarian for routine services and another when specialty care might be required. Finally, schedule an appointment with your top choice vet for your pet. See if the experience lives up to your expectations. If you have questions, open a dialogue with your vet and the office staff, so your concerns can be addressed. Ultimately, if you’re not happy, then try another veterinarian. It is important for both you and your pet to feel comfortable and that you’re receiving excellent care. Remember, don’t choose a vet on convenience or price alone. Your pet will thank you.